Gables Estates: Breathtaking wide water views from this completely updated Tropical Modern acre lot home in guard gated Gables Estates. 190 ft of private deep­water dockage & direct access to Biscayne Bay. Enjoy waterfront views & natural light from most areas of the home. Dramatic double volume ceilings in living room open to lagoon. Spacious entertainment areas both inside & out. Gourmet eat in kitchen w/ top of the line appliances, custom wood work, marble flooring, summer kitchen, generator & impact windows. Golden Beach: DRAMATICALLY REDUCED! Live on a beachfront paradise in this beautiful oceanfront property in Golden Beach offering unparalleled ocean views. Enter through Fernando Wong designed lushly landscaped garden/koi pond directing you to a dramatic entry where breathtaking ocean views can be seen from nearly every space. Offering 5BR/6+3BA, situated on expansive 31,500 SF lot feat. 6 car a/c garage, catering kitchen, outdoor entertainment cabana w/ BBQ, library, 3,500 SF art gallery w/ waterfall fountain on a marble infinity edge base & 2ND art gallery. 649 Ocean Blvd (Adj. property) can be purchased for $10.6M. 649 Ocean Blvd features 3,779 SF, 4BR/5+1BA, oceanfront pool, 100’ of oceanfront on a 30,000 SF lot. Both can be purchased for a total of $21.2M equaling 200FT of beachfront on 61,500 SF. Sunset Lake: An elegant waterfront estate ready to be restored on the prestigious and gated Sunset Island III. Sitting on an oversized 28,191 SF lot with an impressive 160 feet of water frontage, this 5,190 SF home offers 5 bedrooms and 6 bathrooms, a 2-car garage and a sweeping circular driveway. The premiere estate features natural light throughout, high ceilings, white marble and hardwood floors throughout and large picture windows. The Master Suite features his and her bathrooms and closets as well as a private balcony with breathtaking water and city vistas. The expansive and lush backyard boasts a pool, a large dock and a covered patio for year-round enjoyment. Live steps from bustling Sunset Harbour and world class restaurants, shopping and beaches. Di Lido Island: Sleek 1950's MiMo home with modern renovation located on the north west tip of Dilido island with wide bay sunset views. Stunning home with open floor plan, sliding glass doors provides indoor and outdoor living, and each bedroom has private bath & access to outdoor garden areas. Large Master bedroom suite with views of infinity pool and custom outdoor fire pit with built in seating. Home also features media room and den/office. Large three vehicle carport. 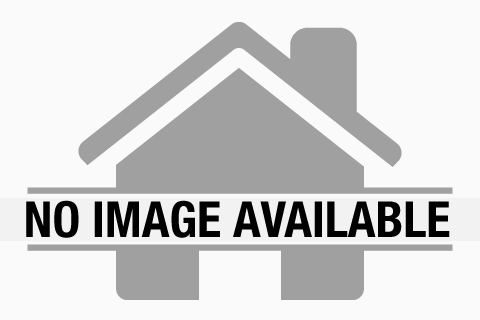 Large lot allows for additional or future knock and build option. Call today for a tour. Fisher Island: Contact Listing Agent for more information about this residence. Di Lido Island: Gorgeous contemporary waterfront estate w/gated entry on prized Venetian Island. Magnificent setting w/lush foliage, climate-controlled pool, waterside patio & lawn, designer landscapes/lighting + private dock. Exquisite bay & city views from your outdoor oasis & walls of windows in the impeccably-redesigned 5,600SF home offering the ultimate luxury. Bathed in light, enriched by the finest finishes including Italian porcelain tile & American white oak engineered wood flooring, Italian matte lacquered doors by BERTOLOTTO, chef’s kitchen w/cabinets by Scavolini & appliances by Gaggenau & elegant spa baths. Entertain in the large living area w/double-height ceilings & massive bay view windows. Amazing glass wine cellar, state-of-the-art security, Lutron smart lighting, home automation & more. Amazing Bayfront estate sitting high up on a cul-de-sac in Sunrise Harbor guard gated community. Panoramic open bay views forever! Majestic architecture in the Mediterranean style with all the flourishes and details. Grand entertaining spaces in the living room, dining room, media room and family room with bar. Elevator. Heated pool. 120’ protected deep draft dock with lift. Auto court plus 4+ garage spaces. 100kW generator. Impact glass. Short drive or nice walk to Coconut Grove and Sunset Drive. Riviera: This one-of-a-kind tropical modern oasis was masterfully designed to resemble a luxurious yacht. Impeccable finishes and 20 ft glass windows spanning the entire width of the home were made to blur the line between indoors and outdoors. Expanses of glass, rich Rosewood finishes and stunning water views set the tone for a serene living experience offering modern sophistication in one of the city’s most coveted islands. Features include 5 BD, 4 +1 BA, 6,607 adj sf of interior living space, 53’ on the water, polished volcanic stone floors, interior glass and steel stairway, and a 1,500 sf rooftop deck that sports a pool, bbq & sunset views over the Downtown skyline. Caesarstone surfaces in the gourmet open kitchen & floor to ceiling windows in the master suite offering breathtaking bay views. Porsche Design Tower: THE MOST BEAUTIFULLY FINISHED UNIT AT THE PORSCHE DESIGN TOWER! This 3 bedroom custom designer finished mansion in the sky was designed by Steven G with high end finishes all throughout. Featuring a gorgeously finished 2 car garage in the living room and a heated salt water pool on the balcony. Enjoy living in the only building you can drive into your apartment with your car. Residence includes Miele appliances, private elevator, private restaurant with in room dining, building concierge, car concierge, full beach service, two pools, spa, car simulator, sports simulator, movie theatre, salon, and party room. Enjoy five star resort like living in one of the most technologically advanced, private, and secure building in the world! Four Seasons Condo Hotel: Enjoy FOUR SEASONS LIVING & EXPERIENCE THE ART OF HOSPITALITY in this spacious 2-bedroom plus den oceanfront flowthrough residence with breathtaking ocean and city views and 3,424 square feet of interior living space. Features: Molteni furniture, Italian Travertine flooring throughout, custom-designed shade pockets, "lift & glide" terrace doors, Richard Meier&Boffi-designed kitchen cabinetry, Corian countertops w/seamless monolithic sinks, Sub-Zero&Miele integrated appliance package, 5 burner gas cooktop, level five wall finishes, laundry room, den, maids room, dedicated service elevator, chilled water-air-conditioning system, multi-zone climate controlled system, bathrooms: Duravit & Dornbracht fixtures, freestanding tub, white marble floor & walls. Cocoplum: Captivating Plantation-style estate, by renowned architect David Johnson, with the finest modern appointments sitting on a sprawling oak-laden cul-de-sac in Cocoplum Phase 1. Stunning rich wood floors throughout, detailed tongue & groove coffered ceilings, fireplace and built-in bar unites the temperature-controlled wine cellar. The chef-inspired kitchen opens to a large patio w/Summer Kitchen that wraps around the back of the house & overlooks the backyard & swimming pool. First floor has an en-suite guest room, service quarters & powder bathroom. The second floor, accessible also by elevator, has stately Master Suite,3 en-suite bedrooms, add'l family room & a guest suite connected by a covered breezeway. 3-car garage w/height for lifts, if desired. Impact windows & whole-house generator. Breathtaking Tropical Modern Brand-New Estate in Prestigious Stritter Estates. Greeted by soothing water features as you enter your home which leads to a spectacular architectural floor plan w/plenty of natural light. This home offers luxurious finishes & incredible attention to detail throughout. Offering grand living & dining room, designer kitchen, climate-controlled wine cellar, ground level & upstairs master suite w/sitting areas, to a stunning glass stair case & elevator. Premier Limestone & Wood floors. Nested on a deep lot allowing picturesque views of the backyard. Other Features: Large Laundry Room, Smart Home Integration, LED Lights, Resort Style 50 X 30 Pool, Spray Foam Insulation, Summer Kitchen, 3-Car Garage, Fully Gated. Premier Pinecrest Schools. Builder Home Warranty. Snapper Creek Lakes: Masterful design and luxury are showcased in this immaculate lakefront home located in the exclusive guard gated Snapper Creek community. Impeccable landscaping surrounding the waterfront residence provides optimal privacy and a tranquil, serene outdoor setting. An open floor plan outlined with grand vertical windows and a stunning skylight overhead highlights sprawling entertainment areas flowing into private outdoor spaces. The elegant home features a chef’s kitchen with Sub-Zero and Thermador appliances, a separate bar area and an oversized walk-in kitchen pantry. Every detail of this home including a sauna, fire pit and whole house generator was carefully selected. Amenities include access to a private marina with a full-time dockmaster with a boat slip or dry dockage option. Grand Bay Residences: Presenting one of Grand Bay community’s largest luxury units with views of the Ocean and Bay. Just imagine 5634 int. SF, 5 bed, 4.5 baths, and beautiful terraces. A private elevator opens to the double size living room. An art lovers dream! Hector-Hector chef’s kitchen has center island breakfast bar, custom Chippendale cabinetry, top shelf appliances, three ovens and a wine fridge! Dinner can be served in the dining room next to the rustic Library, serving wine from the temperature controlled 1,100 bottle wine room. After a movie in the theater, retire to the Master suite with spacious walk-in closet, spa-like bath, for a soak in the tub. Draw the motorized shades, and enjoy the smart home entertainment system. Includes 2 parking spots, storage, and a 245 SF studio (1/1) on the 1st floor. 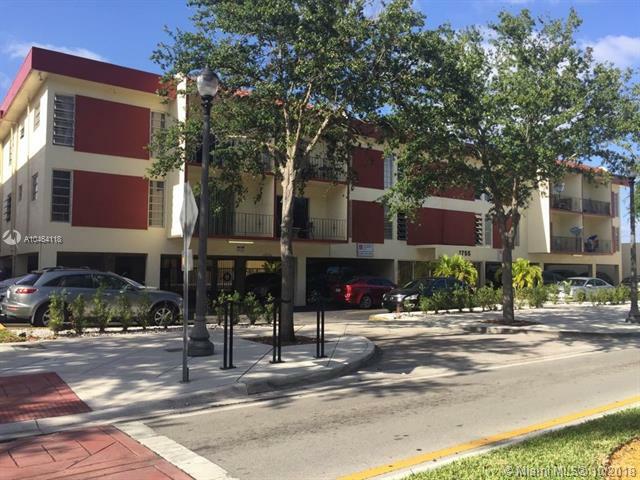 Fulford: We are pleased to present for sale the "Ara Group Apartments", a 32-unit apartment building in the highly desirable North Miami Beach location. This is a three-story building consisting of 22 two-bedroom/one-bathroom units and 10 one-bedroom/one bathroom units with on site covered parking and laundry facilities, pool, elevator server building, remodeled and modern lobby, secured entrance, security camera system, brand new gym, on site leasing office, central heat and air-conditioning, balconies, great strong rental market with a waiting list's prospective tenant. 100 % occupied with a NOI of $ 291,588 !! Flawless contemporary Ponce-Davis home. Custom built 2008, renovated to perfection 2014 with Brazilian Ipe, limestone, and marble floors, state-of-the-art air/water filtration, entry pond & waterfalls, multi-zone pool with salt-water purification and Badu swim gym. Huge 1-acre lot provides ample natural light, seamless indoor/outdoor living, complete summer kitchen/bbq, full wet bar, custom sound system, and professional Arclinea kitchen w/Gaggenau gas cooktop, double ovens, double refrigerators, and more. All 5 main bedrooms include Arredo Italian closets and en-suite baths. 2 powder rooms plus separate guest suite and detached staff quarters. CGI Impact Windows and whole-house gas generator for year-round safety and comfort.